The confetti project idea came to me in the middle of the night. Not kidding. I love confetti and the diy confetti coasters I made last year still make me smile. 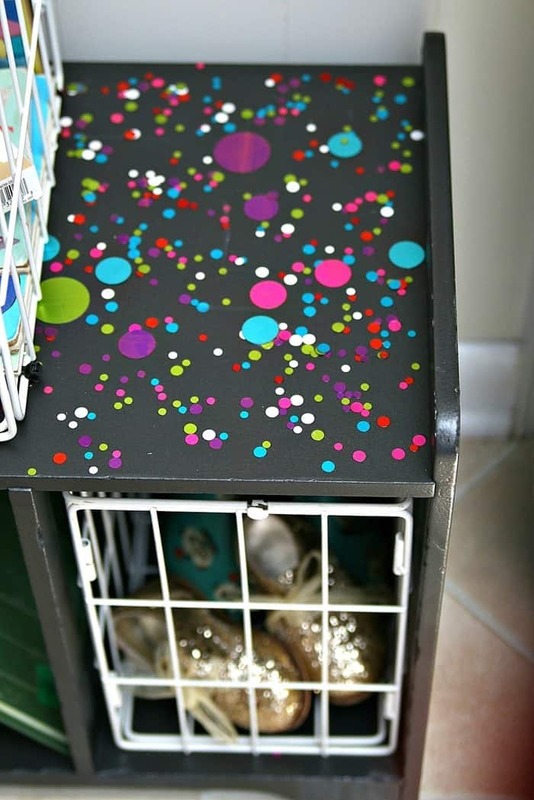 Why not try confetti on furniture? 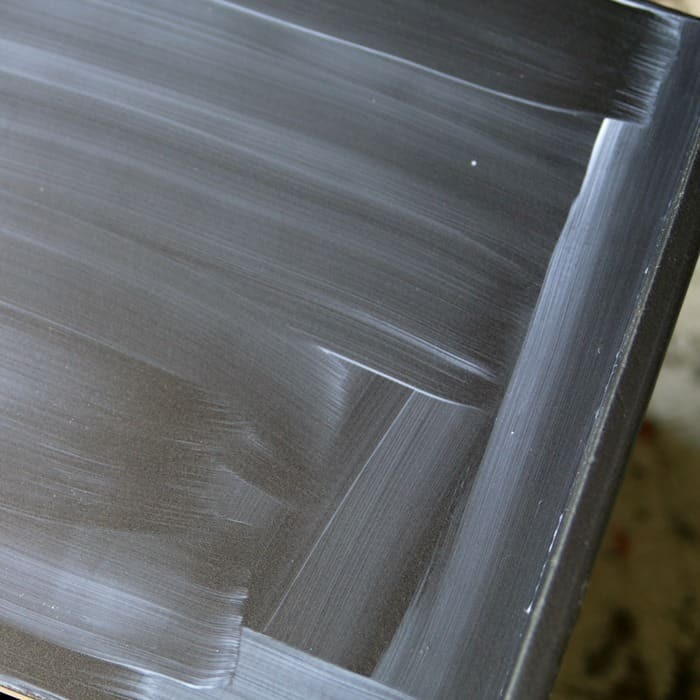 I painted the storage/organizer gray but it was kind of blah. This is how it started out. I bought the storage/organizer at the Goodwill for $3.99. Couldn’t beat that. 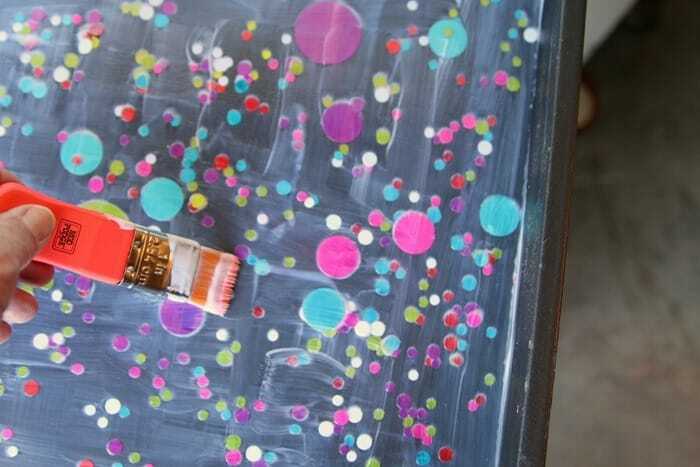 With a bit of spray paint, Mod Podge, and confetti we have a whole different vibe. 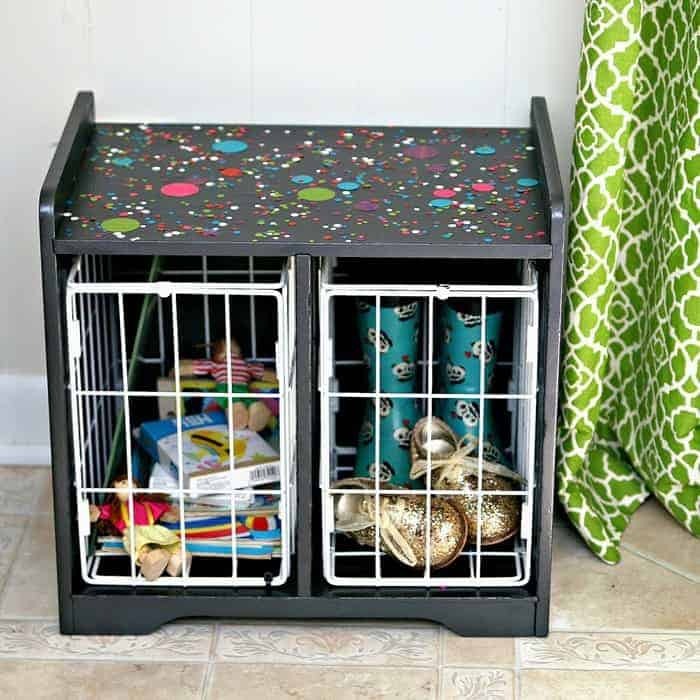 The overall look is perfect for a kid’s storage container and it doesn’t look tacky or trashy or too kiddie. The Thrift Store Decor Team is ready to rock and roll today. You can find the links to all of their projects at the bottom of this post. But don’t leave without reading the details of the confetti project idea first. 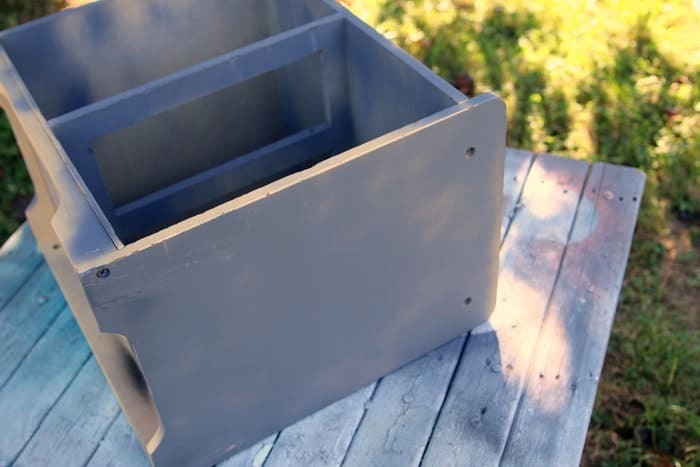 I used spray paint on the container starting with gray primer then finishing the project with Rustoleum Hammered Metal Finish in Gray. I’m sorry but I don’t have many photos of this process. Once the piece was painted I thought about adding a stenciled design or maybe decals of some kind but none of the ideas I came up with felt right. That’s when I had the epiphany in the middle of the night. About the confetti. 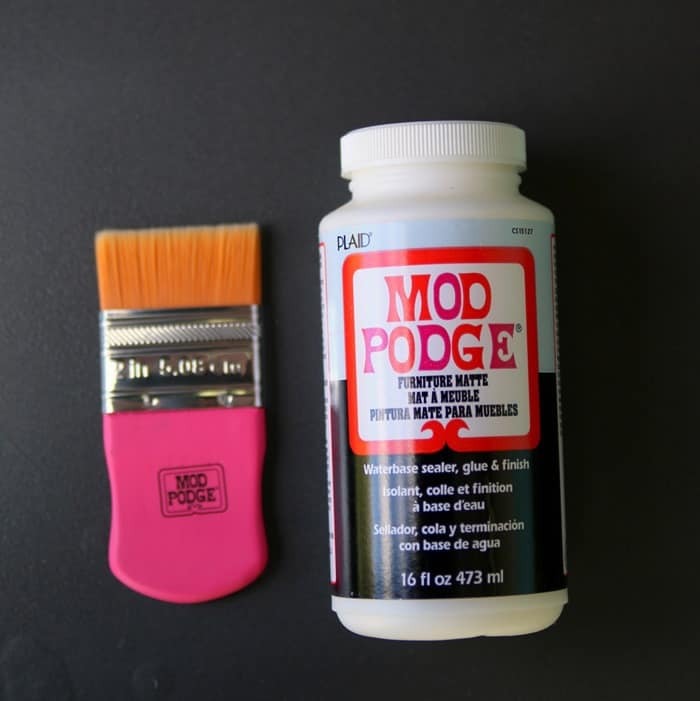 I pulled out the Mod Podge Furniture Formula and a brush and went to work. I brushed on a thick layer of Mod Podge. 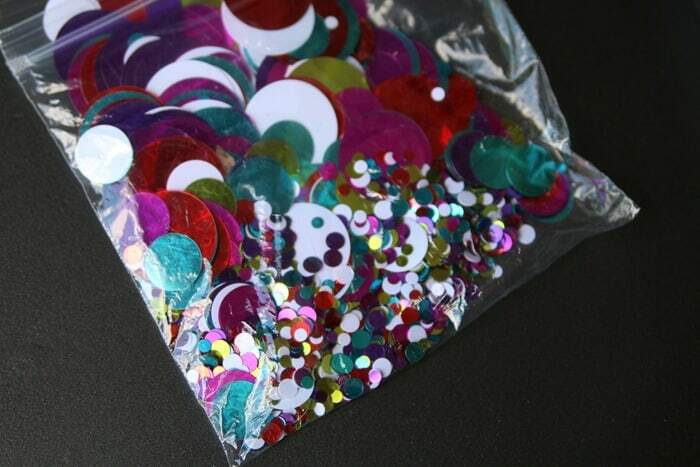 Then sprinkled the confetti on top….all willy nilly. I gently pushed the confetti down into the Mod Podge with a toothpick. Once the layer of Mod Podge and Confetti was dry I covered it all with another heavy layer of Mod Podge. Then waited for that to dry and Ta-Dah…..done. 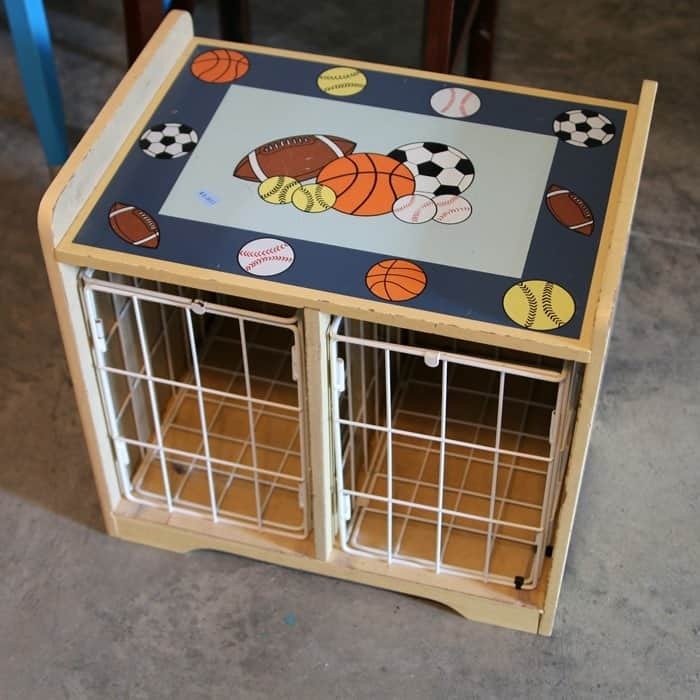 The piece is perfect for storing kid’s shoes, books, toys, etc. They can also use it as a stool. The wire baskets included with the piece are worth more than $3.99 each so I think I got a real bargain. And it looks so much better now. What do you guys think? Do you like the confetti project idea? I’m thinking of painting a chest of drawers white and doing the confetti thing all over it. What about that idea? Leave me a note and click the links below the “before” photo collage to visit my thrifty friends. 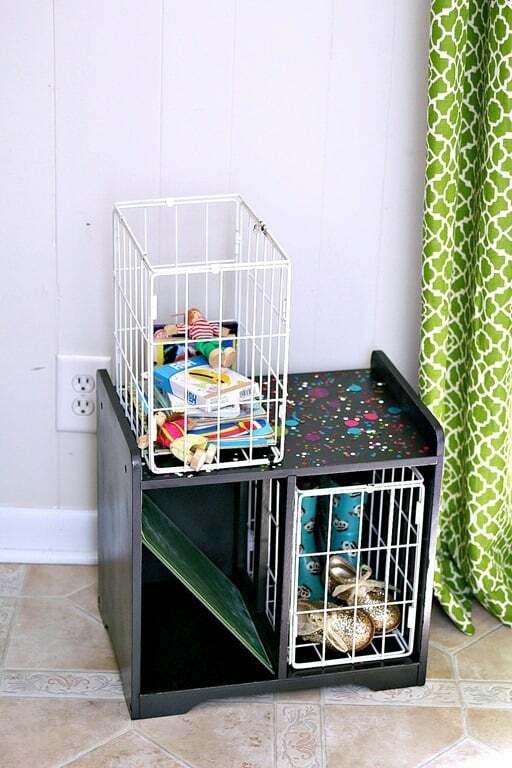 That cute little organizer really was a bargain, even though it was ugly! But you fixed that problem with no trouble! It’s really nice-looking now and so versatile. The confetti was just the right, fun touch. Good job! What a great find!!! Super cute organization for kiddos. Great idea! Why not use shredded mail, too? There was a DIY clay paint recipe that incorporated bits of hay. 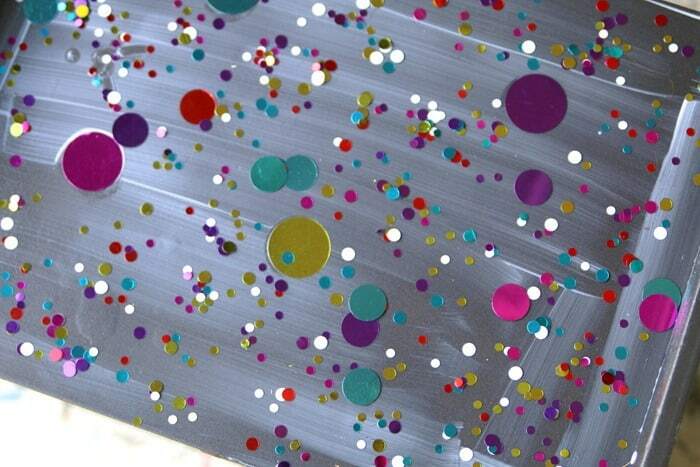 Texture is fun, and so is your confetti idea. I’ve used glitter on dark pieces, and it’s fun when the light catches the bits of gold. Have fun, life is too short! 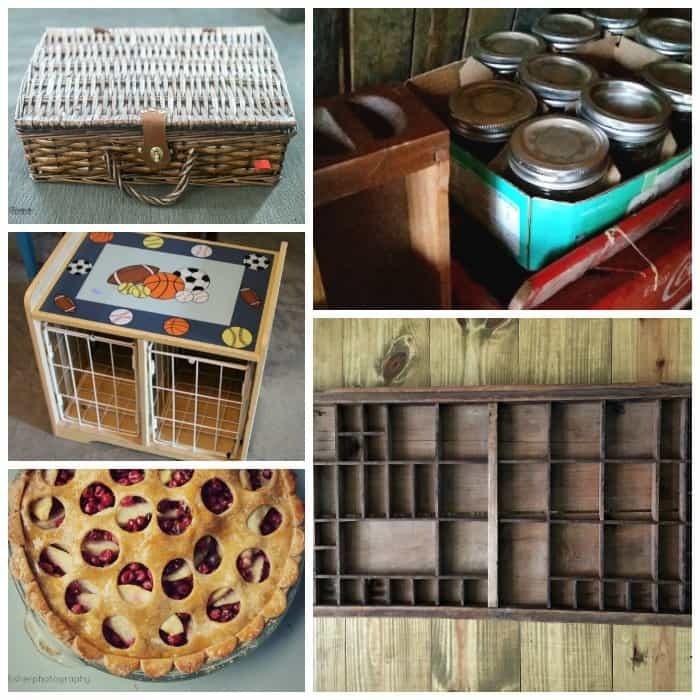 What a fun project, the kids would love this! How Fun Kathy! You’re right, it’s perfect for the kiddos! I love it! You have such flair and imagination! I love to read about your projects because they always demonstrate that you don’t have to have a big budget to do something amazing and a lot of fun that then inspires other less talented people like me to have a go. I always look forward to seeing what you will come up with next.